The good news is the worst of winter has now passed, for a year at least! As Spring arrives, we have got through the hardest parts, even though our heating systems and purse strings may have been challenged as a result of the cold weather. A blocked drain is one of the most frequent problems for households in Britain, and whilst it is possible to unblock a drain its important to also focus on the preventative measures that you can implement in your home to stop the blocking occurring in the first place. There are four main reasons for drain blockages and those tend to be: hair, cooking grease, coffee grounds and soap scum. By making slight changes to your daily routine you can ensure that these culprits don’t create problems for your drain. Using an old container to store cooking grease rather than pouring it down the drain can help, once the container is full you merely throw it in the bin. The same can be said for coffee grounds, rather than rinsing them down the sink try to put them straight into the rubbish bin. As for hair and soap scum, think about investing in a drain-grate or screen to protect the drains opening. They are inexpensive and help to minimise the chances of soap scum and hair clogging up your drain. Regularly cleaning your drains and pipes is an excellent way of preventing drain blockages, and it doesn’t have to cost the earth. There are several ‘home’ remedies that can be implemented and don’t involve you going out and buying the latest cleaning products. Running hot water through the drain regularly can always help. as it keeps the oils in food running down the drain. This prevents build up on the inside of the pipes. Such build up can slow drains down and lead to blockages so it is definitely worth remembering to keep the hot water running. For a more extensive clean, try throwing some baking soda down the drain then following with some hot water. Baking soda is a known cleaning agent and as a bonus it also absorbs any foul odours. A deeper clean still can be offered using by vinegar. Simply pour vinegar down your drain, leave it to sit for at least half an hour, then pour very hot water down the drain to wash it out. Vinegar is a cleaning agent that contains acetic acid and therefore can be incredibly useful in removing the build up of waste in the pipes. Some drains may be more prone to clogging than others, this is especially dependant on type of use and frequency of use. For regular clogging problems there is another home based solution that could be worth a try that works on drains in bathtubs, showers and sinks. It is best to try this solution before going to bed because then it has a chance to sit overnight. Firstly, pour equal measures of salt and baking soda into the drain. Next add vinegar and let the mixture foam for at least one minute. Then pour down a substantial amount of boiling water and leave overnight. By the morning the drain should be substantially quicker in its use. For those of you that have sinks with garbage disposals there are many tips and tricks that you can use to prevent blocking and keep your drain running easily. One home remedy you can utilise involves filling an ice cube tray with a mixture of vinegar and water. It is important to add water to the mix as vinegar doesn’t freeze very well on its own. Once these are frozen, turn on your garbage disposal and throw in the ice cubes. This works well because the ice scrapes the grease off of the walls and the vinegars acidity works to clean it. For a clean fresh scent, follow each of these methods with lemon juice, or with the garbage disposal a slice of lemon. It will freshen up your kitchen and make it smell fantastic! For more information on blocked drains and how to combat the problem of poor drainage, visit our Drains page or call Home Cure on 0800 002 9991. Now that winter is subsiding, it is an ideal time to assess the performance of your heating system and your radiators over the past year. This has been a challenging winter that has caused energy consumption to rise, and many people relied heavily on good heating production. If you have radiators in your home, or in your business property, this is the time to address the issues that cropped up in the colder months so that next year, you are off to a good start. Inefficient and Unproductive – There are a number of causes for this problem but the most common is not the heating system itself, but rather sludge build-up within the system pipes. Sludge is really iron-oxide that has the appearance of black sludge. Iron oxide accumulates when the heating sys, as you don’t want this build-up sitting over the summer. No Hot Water Circulating – When you system fails to produce hot water that circulates through your radiators, there can be a handful of potential system failures. You can either try to ascertain the cause of the failure by yourself or hire a qualified heating engineer to ensure your system is functional and consistent. Leaking & Draining – This is another common radiator headache that is actually one of the easier to fix. Before you get in over your head, try to find the source of the leak. If it seems to be from the boiler, calling an engineer is the safest practice. 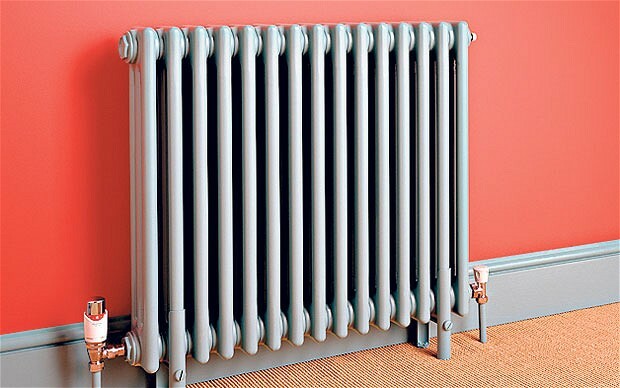 Radiator Banging Or Whistling – If your radiator is doing more whistling and banging than actual heating, there is a clearly an issue! Usually, the cause of whistling, banging or gurgling noises is air in the system. The air is disrupting the flow of the water. Another possible cause for the sounds is that the system’s water pressure is too low to provide consistent flow. Cold Pipes – If the pipes are cold and it appears the heating system is not functioning, one of the first places to check is the system pilot light. Sometimes, a draught can blow the pilot light out or if there is disruption of service, you may need to restart the pilot light manually. Make sure you know how to do this safely before proceeding, and if in any doubt, call a Home Cure engineer for assistance. Lost Pressure – When water is not flowing through the radiator, this can be caused by a water leak in the system. The leak will cause the system to lose pressure and should be detected and repaired as soon as possible. Another cause for this could be a leaky or malfunctioning valve. Thermostat Problems – Is you thermostat producing consistent results? The household thermostat should be checked and tested every year. The wiring can erode, the connection can be disturbed and this will cause inconsistent heat from the boiler. The Boiler Shuts Itself Off – The thermostat is working and you need heat but your boiler keeps shutting down seemingly with a mind of its own. This is a frustrating phenomenon that always seems to happen when you need heat the most. The most common cause of this problem is that a valve has closed and the water flow is irregular. It can also be a sign that the circulating pump is broken. Your heating system will pose problems unless it is maintained regularly. At the same time, the work you do this year to correct last year’s deficiencies will yield dividends in the next cold period. If you are having constant issues with your radiators or boiler, get in touch with Home Cure by calling 02035 049999. We offer a number of key services, including Plumbing, Heating, Gas and Drains, as well as 24 Hour Emergency Response. You can also contact us by filling in our web form on the right. You are currently browsing the Home Cure blog archives for April, 2014.